DCF Studios is located at 721 High Street, Thornbury between Brother Alec Cafe and White Rose Receptions. Part of the bustling, artistic corridor of Melbourne's inner north, the studios are near to fresh food markets, cafes, bars and other creative venues, with nearby street car parking and multiple public transport options. Trams, buses and trains can all be found within a 5 minute walk of the venue. Opening in 2014, the downstairs of the building comprises over 200 square metres of versatile hire space with 3.6m high ceilings throughout. The front whitewall cyclorama Studio 1 features soundproofed walls, suitable for most audio/video recording. The rear black Studio 2 is a more open, versatile space, popular for music videos and creative films. Upstairs house the company’s offices and edit suites, with on site staff happy to assist 7 days a week (by appointment). 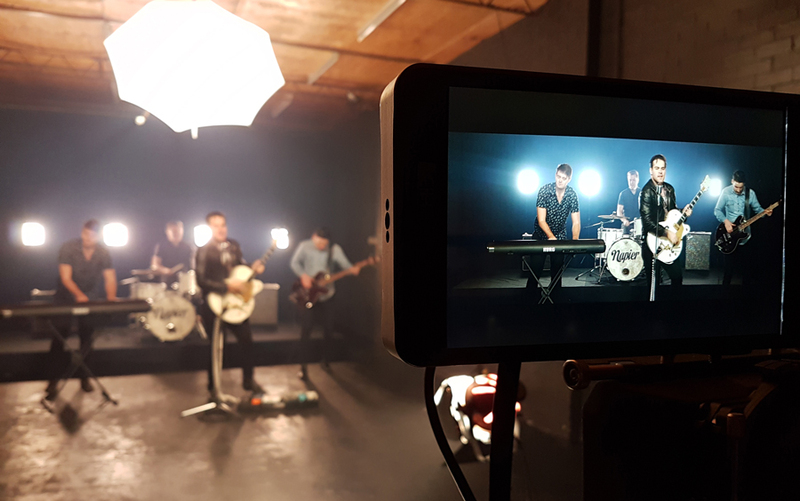 In addition to space hire, DCF Studios offer a wide range of photography and video production services, with a speciality in music and promotional videos. We know all our clients are unique, so whether you're looking for studio and equipment hire, or just a cameraman for the day, we can help! Enquire to book a studio online any time between 6am - 10pm, 7 days a week or call us on 0407 070 944 to further discuss your needs.